When I was a secondary school student (not so long ago *laughs*), hanging out and taking photos (and that was in the days of camera film!) 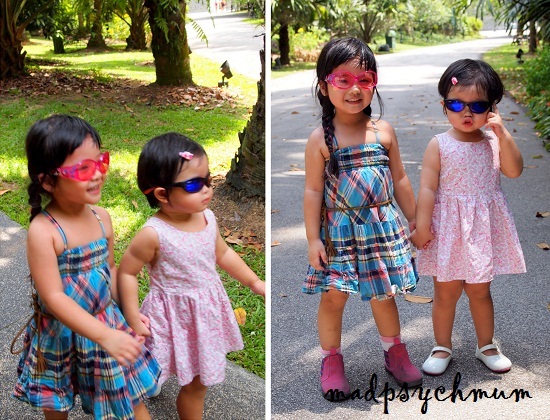 at the Singapore Botanical Gardens was one of our favourite things to do! 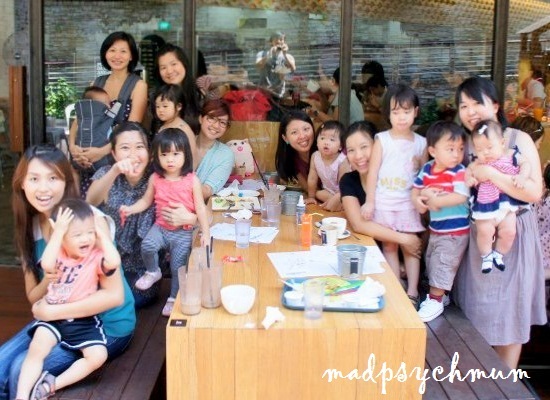 We met up with some of the mums from SMB last Saturday at Food for Thought, Botanical Gardens. This restaurant is coincidentally opened by a friend of my ex-colleague and has now become the gathering place for parents with young children. With an outdoor playground located just outside the eatery and crayons to keep children occupied, it is no surprise why that is so. I was advised by Ai to order the House Works instead of the Full Works, which may be too much for us, but I was really hungry and thought if I shared it with baby girl it would be ok.
Of course Ai was right, I only managed to finish half of the food on the plate and had to pack the rest away for later. Baby girl was too busy running around and playing that she didn't eat much except for the hash brown, which she kept asking for more. 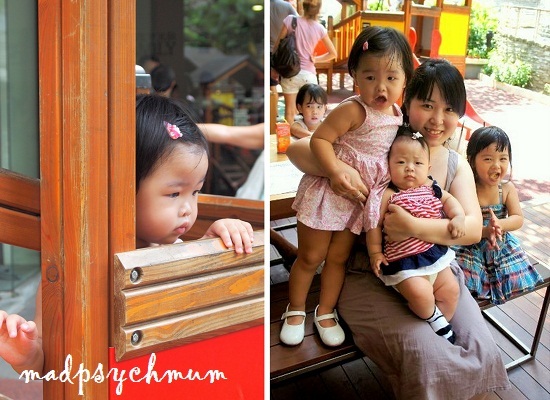 For some reason, she was also very attracted to the babies at the playground that day. After brunch, a few of us decided to take a walk to the nearby lake to visit the swans, which I remember were always there ever since I was a youth. I brought some bread for the kids to feed the fish. Alas, it was only after we finished that we saw a sign that said, "please do not feed the fish!" At first we didn't see what we were there for but after strolling down the lake a little more, we finally spotted them! The sun started to beat down on us so most of the mums decided it was time to go. I asked baby girl if she would like to go home or see the flowers and she replied "see fouwers!" So we parted with everyone and journeyed by ourselves to explore the park a little more. 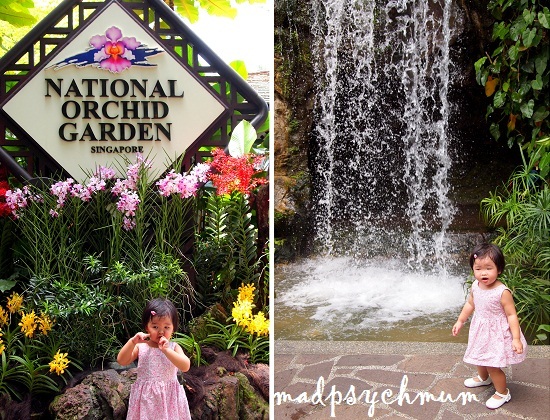 I remembered that there was an orchid garden nearby and wanted to bring my girl to take a look. It turns out that unlike what I remembered, a small fee is now charged for entry. But as I knew my girl would be clamoring for a nap very soon, I decided it was best to come back another day. When I asked my girl again whether she would like to see more or go home, she finally answered "call daddy, go home!" and promptly laid her head on my shoulders.